Automating receptions and dispatches. Large productivity. Permanent inventory. Error elimination. High performance in available space. The Miniload (another name for the box stacker crane) can reach a height of 20 metres in an aisle width of only 800 mm. 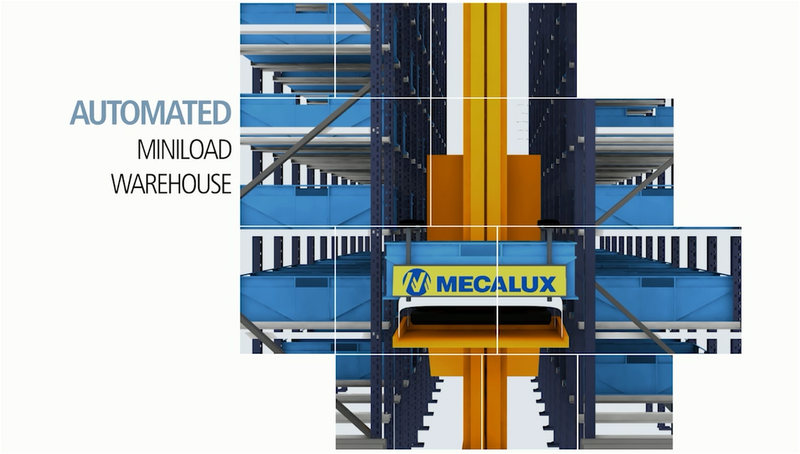 Automated warehouse boxes or trays storage system that integrate shelving, machinery and warehouse management software all in one. It is made up of a central aisle, along which a stacker crane travels, and two racks built at either side used to store boxes or trays. 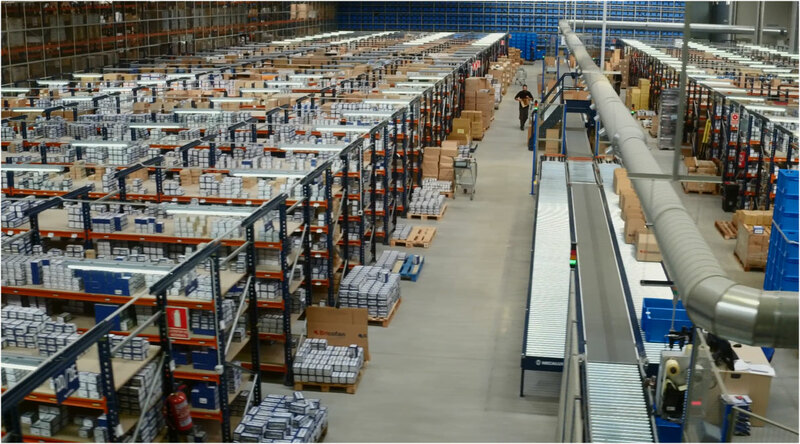 The picking and handling area is formed by conveyors and is positioned at one end or at the side of the racking. Here, the stacker crane deposits the load extracted from the rack. The conveyors then take the box to the operator and once he/she has finished the job, it is returned to the stacker crane which then places it back in the racking. The whole system is controlled by a management software package which registers the location of all the materials in the warehouse and keeps a real time inventory. Applies "product to operator" principle. Automation of the entry and exit operations of the products. Eliminating the errors arising from the manual management of the warehouse. Optimal use of available space. Maximum comfort and easy access to the stored boxes.